Luis Omar Salinas (1937-2008) was a leading American Chicano poet who called himself the "Aztec Angel" and the "Crazy Gypsy" in two of his best-known poems. 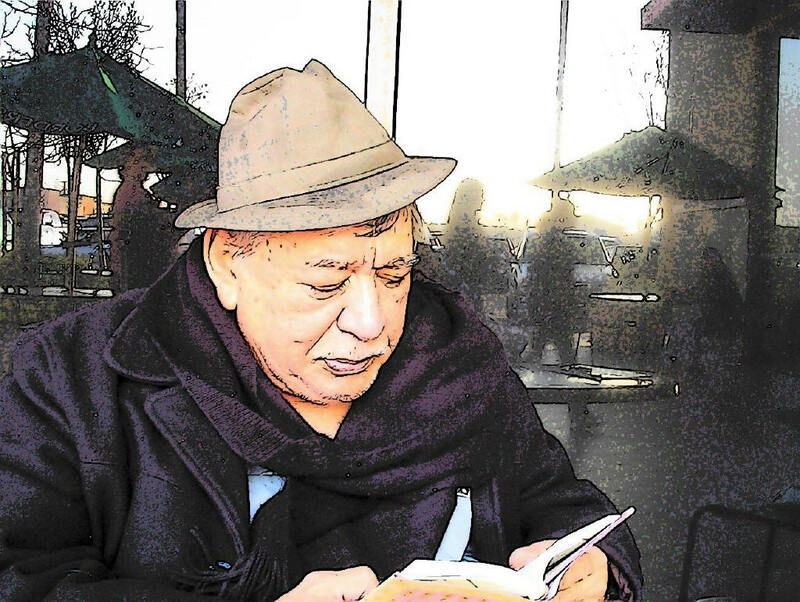 Salinas has been called "one of the founding fathers of Chicano poetry in America" and his poems have been "canonized in U.S. Hispanic literature." His poetry collections include the books Crazy Gypsy, I Go Dreaming of Serenades, Prelude to Darkness, Sometimes Mysteriously, Elegy for Desire, The Sadness of Days, Darkness Under the Trees, Follower of Dusk, Afternoon of the Unreal, Messenger to the Stars and Greatest Hits 1969-1996. A number of his poems appear on this page, including "Aztec Angel," "Crazy Gypsy," "Sometimes Mysteriously" and "My Father is a Simple Man." "I don't say he's a great man ... Attention, attention must be finally paid to such a person." (Death of A Salesman by Arthur Miller, Act 1, part 8, page 40.) Yes, attention must be paid to Luis Omar Salinas. His credits and awards would take several pages to print out and can be found on the web, in volumes of his own poems, and in various interviews, including one I particularly enjoyed and found edifying, by Christopher Buckley in Quarterly West. His contributions to poetry and to literature go beyond simplistic characterizations of Senor Salinas as a Chicano or Latino poet. Among Salinas' poetic works I have enjoyed and can recall immediately are Greatest Hits (published by Pudding House), Sometimes Mysteriously (winner of the Salmon Run Poetry Press national contest), and My Father Is A Simple Man. His rendition of his persona as "Crazy Gypsy" has never failed to move me, no matter how many times I return to the beauty of his images. Yes, attention should be paid to Luis Omar Salinas. Attention paid, to a fine poet. 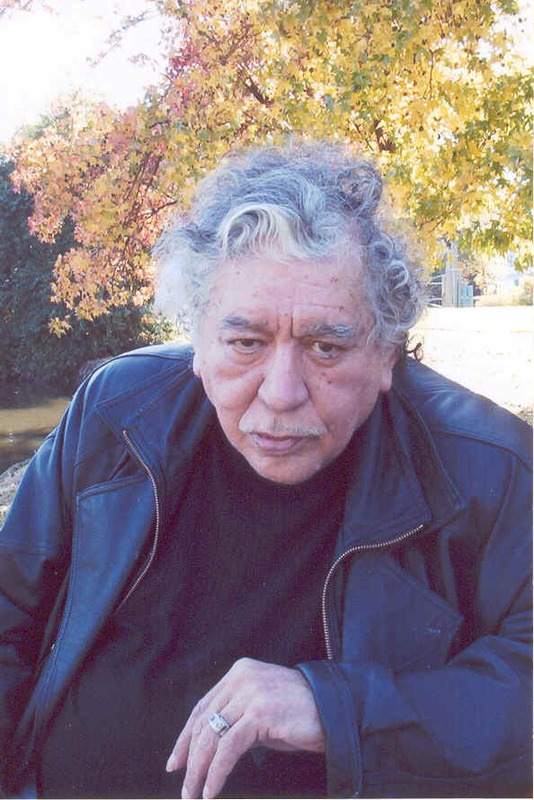 Luis Omar Salinas is one of the founding fathers of Chicano poetry in America, and a poet of both national and international repute, as evidenced by his work being studied at the Sorbonne, the University of Bamburg, and a number of United States universities. At The City University of New York, his poem "My Father Is A Simple Man" has appeared in courseware with poems by Shakespeare and Sappho. Salinas was born in Robstown, Texas, and his Tex-Mex bordertown roots are vital to the man and the poet he was to become. As a teenager he moved with his family to California. After receiving a high school diploma from Bakersfield High School, he attended Bakersfield City College, where he earned an Associate of Arts degree in History. After attending California State University at Los Angeles, where he studied under Henri Coulette, he transferred to California State University Fresno (then called Fresno State College), where he studied under Philip Levine, Robert Mezey, and Peter Everwine. 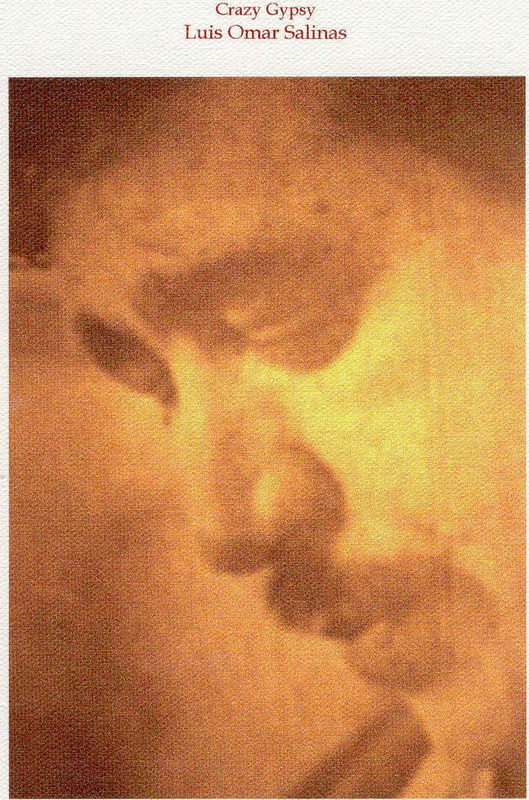 As a student at Fresno State College he published his first book, Crazy Gypsy, which sold 4,000 copies in a few months and earned him recognition both as a Chicano poet and as one of the leaders of the "Fresno School" of poets, which included Gary Soto, Ernesto Trejo, Leonard Adame and others, in the early 1970s. He eventually dropped out of college, taking several odd jobs to support himself while writing, but later in life he returned to teach poetry at California State University Fresno. In 1987 Salinas was invited to read before the Library of Congress. Christopher Buckley, the chair of the creative writing department at the University of California Irvine, and also a poet, has called Salinas one of the two or three most important Chicano poets writing today. Manuel M. Martín-Rodríguez, Director of the Roberto Hernandez Center for U.S. Latino Studies at the University of Milwaukee-Wisconsin, lists Crazy Gypsy as one of the "Historical Landmarks in Chicano Literature." The Julian Samora Research Institute lists Crazy Gypsy under "A Rich Tradition Continues." Salinas recently had his biography published in American Writers, A Collection of Literary Biographies, Supplement XIII, edited by Jay Parini and compiled and written by Christopher Buckley. American Writers is available in fine libraries across the nation. Luis Omar Salinas is a poet of note, not just in Chicano literature, not just in American literature, but in world literature: period, exclamation mark! eyed sky . . .
crashing against the craggy rocks. at nightfall onto the summer grass. an impetuous lover chasing stars, limping . . .
"The day has just begun, put on your coat." where you can see yourself. and I'll be suffering badly. like a sad creature from the sea. a beer to salute the dead. they will not find a home in my thoughts. I'll place it to rest. and pride in my monstrous vitality. to God and those who surround me. a clumsy serenade dreaming the afternoon. Go, friends, quickly to your tasks and wives. and the road is a serpent full of ambitions. like a nun into church. listening to the tingle of bells. making sure everything is secure.